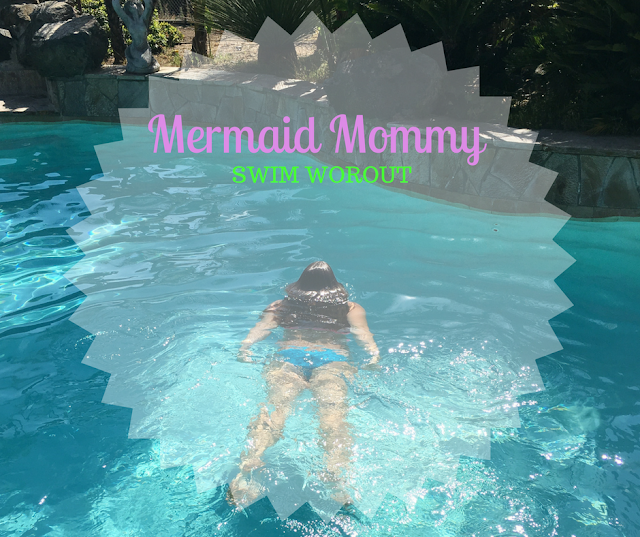 Summer Swim Workout - Preggo Approved! Channeling my Mermaid Mommy more than ever these days! It is like the Universe knows I need my daily workout and therefore honors my needs by giving me Fall babies. August, October and now (soon to be) September have been when all my babies have made it into my arms. As I get bigger, my workouts evolve into low impact, low intensity. 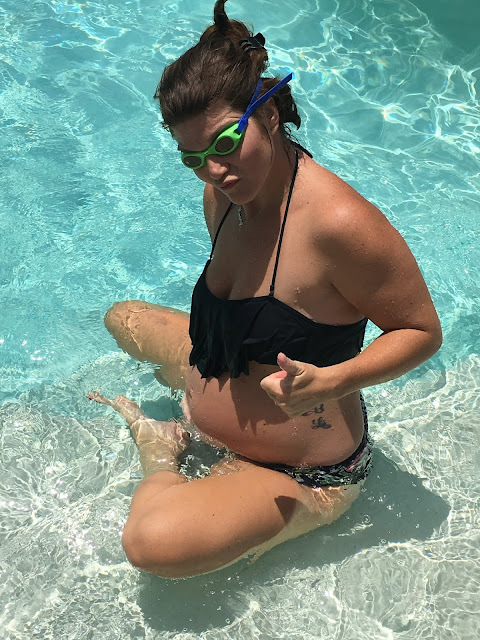 I am so thankful to have swimming be my go-to third trimester workout. From jogging, kicking, lap swimming to treading, this is a total (preggo approved) body workout. Best part, it is GREAT for getting baby into position for that calm, easy birth we all prepare for...and no, I did not make that up, a midwife told me. Since I now have my own pool (not a lap pool by any means) I set my timer for 30 minutes and go back and forth from corner to corner across the pool. The big boys LOVE watching and cheering me on too which makes it even more fun! 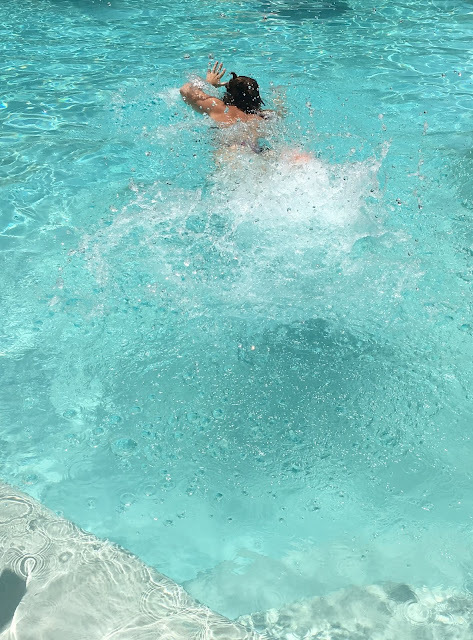 Kicking is my favorite; flutter, "mermaid" aka butterfly kick and breaststroke all get 10 laps. Don't forget your hat! Once I've done my kicks and my legs are on fire, it is time to grab one of my kid's goggles (lash protection always is a top priority) and get in my laps! This is where I reallllllllly struggle, but I LOVE IT! One more round of treading water and I have gotten in a great workout while enjoying some family fun in the sun. Love that. 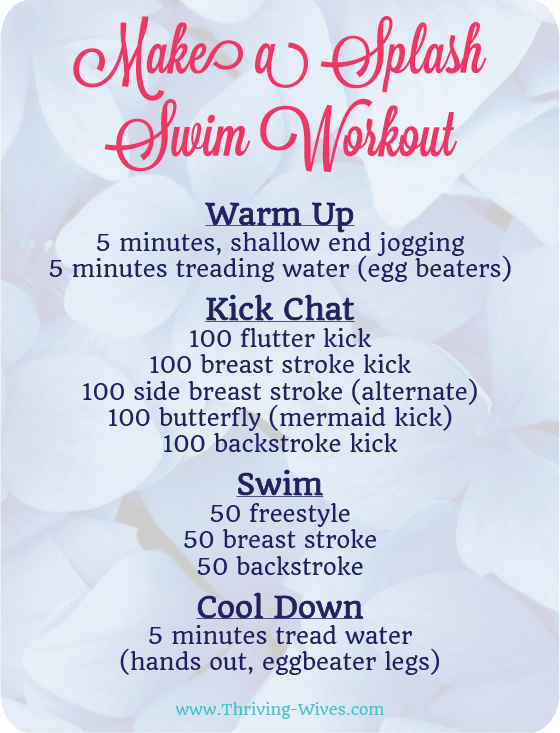 Have access to a pool and want to give this splash worthy workout a try? Well then, here you go! 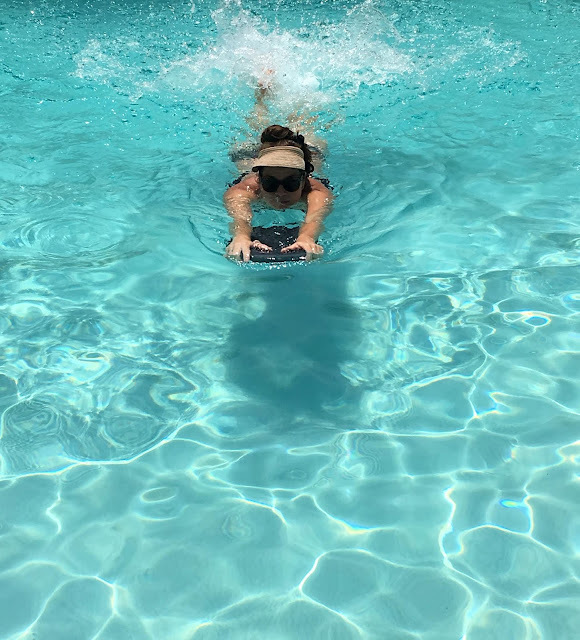 The workout below is based on a lap pool, but if you've got one in your backyard, just find the longest distance and go for it! 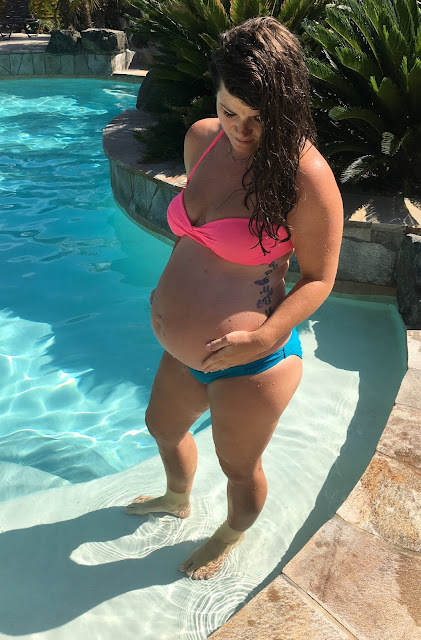 As I countdown these last 10 weeks of my very last pregnancy, I can honestly say, THANK G FOR THE POOL! It has saved me once again and I look forward to kicking my way to that second unmedicated VBAC and meeting my sweet Richie! Anything I should try next time I take my daily dip?